"A simple but delicious muffin recipe that can easily be dressed up by adding jalapenos, honey or anything else." 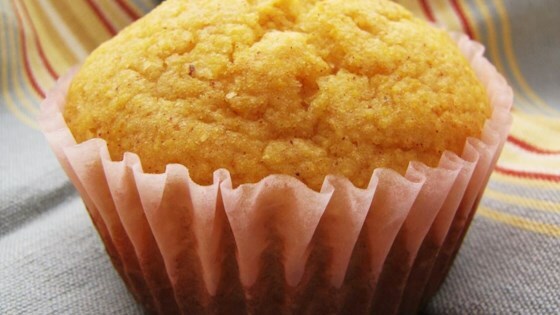 See how to make simple, versatile, and delicious corn muffins. These came out very dry and hard. Very good recipe! I made these while talking over the counter, the recipe is easy! I will make these again. Delicious!! Not dry at all and not too sweet (as I was afraid it might be). This will be the recipe I use from now on. Wonderful! Moist and just the right amount of 'sweet'. Just as good the next day as hot out of the oven.